It is with great excitement that Mack Boring & Parts Co. officially announces our new address in Somerset, New Jersey! Our existing facility has served us well over the past 50 years, and it was time to move into a new home where we can be efficient, more connected and set ourselves up for future growth and prosperity. This new facility reflects, and will help enhance our corporate culture all while better serving us to deliver on our customer promises more reliably. Efficiency is key and having our entire operation organized under one roof will streamline communications, encourage more direct interaction and strengthen our processes – effectively making Mack Boring a stronger, more efficient partner and player in our industry. Mitsubishi Turbocharger and Engine America Inc. (MTEA) has announced the introduction of a 684 hp at 1,800 rpm (510 kW @ 1,800 rpm) engine that complies with EPA Tier 3 regulations. 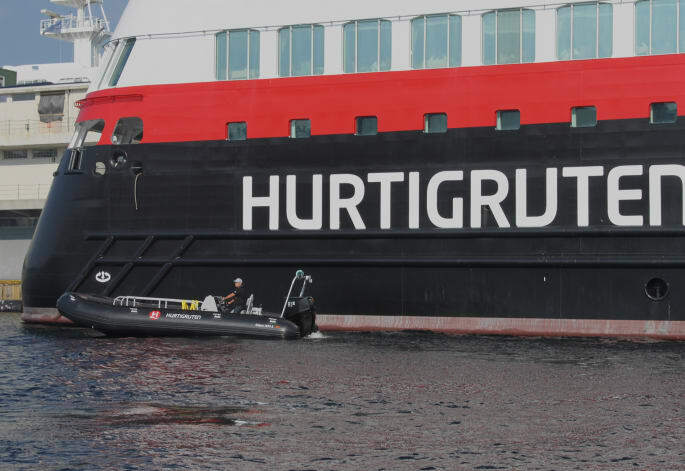 The new S6R-Y3MPTAW-1 model is a propulsion-certified unit ideal for heavy-duty workboat repower applications, such as with tugboats, cargo ships and offshore vessels. It’s a high horsepower, high displacement and high mass solution that achieves Tier 3 compliance in a fully mechanically controlled package. Featuring a six-cylinder design, the new S6R-Y3MPTAW-1 is a four-cycle, water-cooled diesel engine with direct injection and air-cooled turbocharger. Whereas most competitive engines in the 600- to 700-hp range feature an 18- to 19-liter displacement, the new S6R series model from MTEA has a 170 mm x 180 mm engine bore and delivers 24.5 liters of displacement — up to 29% larger. More displacement means the engine doesn’t have to work as hard to produce horsepower, which leads to longer service life. Also, this new engine offers up to 29% more mass (6,239 pounds) than competitive units, further promoting longevity by providing more physical engine mass to absorb combustion energy, Mitsubishi officials said. Unique to MTEA engines, the new S6R 1,800 rpm model is able to meet EPA Tier 3 compliance without the use of complex electronic controls. Utilizing smart engineering and simple mechanical governor controls, the engine is more reliable, more fuel efficient and easier to maintain than electronically controlled alternatives. Further responding to market requests, the new model includes a mechanical boost compensator to reduce black smoke on acceleration. 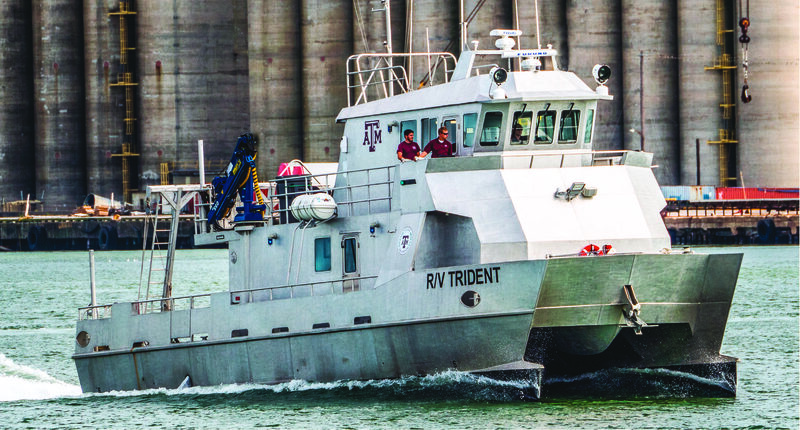 The new engine is currently in production and available for purchase through the MTEA network of marine equipment distributors and dealers, including the following: Hatton Marine, Seattle; Mack Boring & Parts Co., Union, N.J.; Laborde Products, Covington, La. ; Frontier Power, Delta, British Columbia; and Sansom Equipment, Truro, Nova Scotia. Scania 900 Powered Mussel Ridge 44.5′ built by Hutchinson Composites and finished at Clark Island Boatworks for fisherman Justin Osgood of Vinalhaven, Maine. One beautiful boat. See Yanmar’s new 6LY440 in action! David McMahan recently Repowered his 43ft Lowell named Provider with a 16L V8 800HP @2300rpm Scania Engine. David has been a Commercial Lobster Fisherman in Maine his whole life and relies on this engine every day. Scania has been selected as the main supplier for Oshkosh’s H-Series Single Engine Blower US Tier 4f / EU Stage IV offering. These snow trucks will be operating globally at airports, municipalities, departments of transportation (DOT’s), and more. The H-Series Single Engine Blower, powered with a Scania 13- liter Tier 4f engine, was recently introduced at the NEC/AAAE International Aviation Snow Symposium in late April. “We chose Scania for several reasons. First, Scania offered us a Tier IVf emission solution that was SCR and light EGR, but no DPF. This was a critical requirement for our more northern customers such as Alaska. 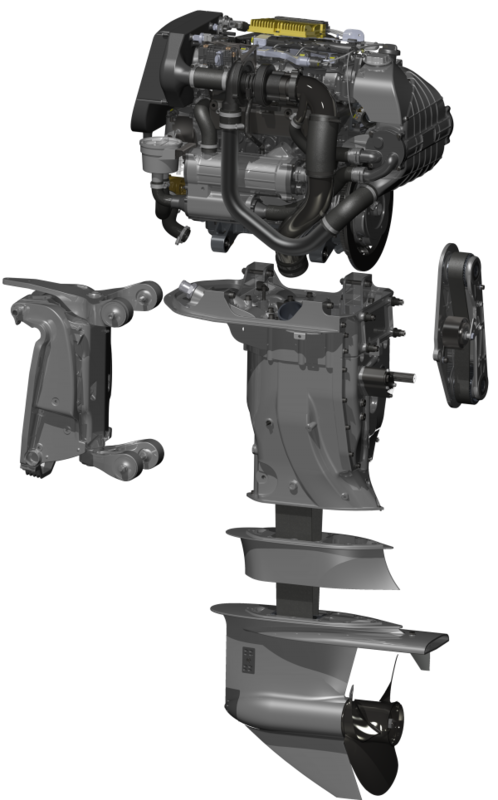 Second, Scania was able to provide us the SEB’s needed hp and torque requirements in a 12-13 liter platform. Third, Scania’s FEPTO (front engine power take off) ratings allowed us to drive the hydraulic pump size we needed for the SEB hydrostatic drive system. All in all, Scania was the best choice to meet several of our critical design requirements in the development of the SEB product. In addition, Scania has a world-wide service network to support their products and our customers. This was an important element in our decision process as well, since Oshkosh has world-wide distribution,” says Les Crook, Snow Products Manager, Oshkosh Airport Products. 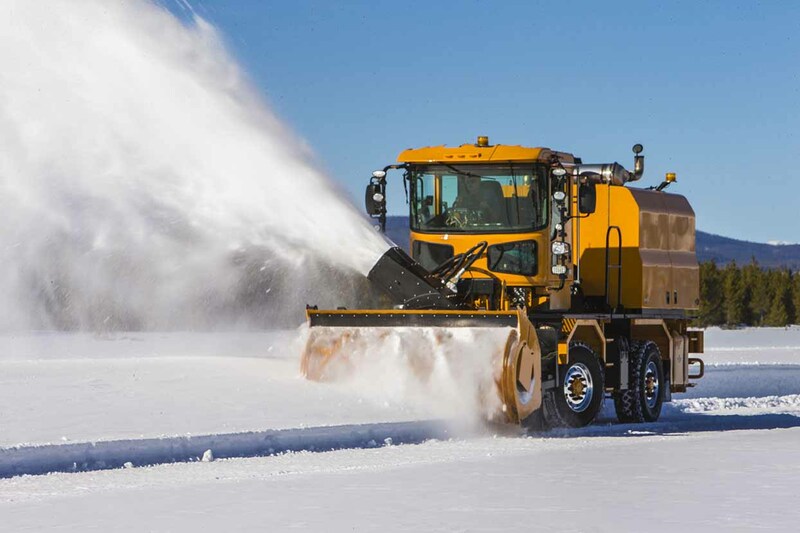 “We are excited to expand our partnership with Oshkosh, to include supplying engines for their industry leading snow removal equipment, also within Oshkosh Airport Products. 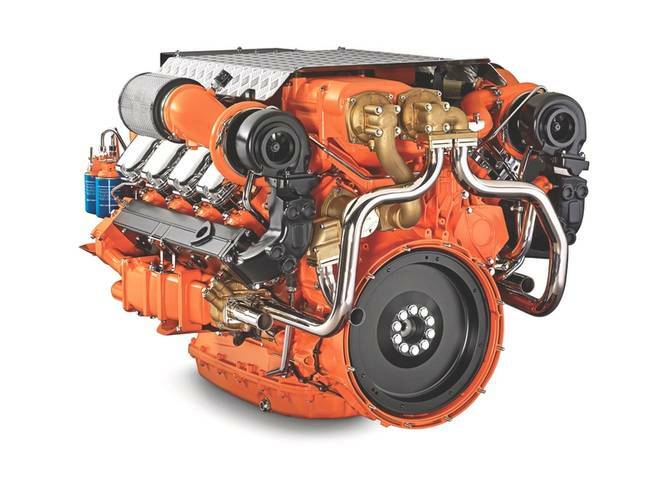 As time progresses, we expect to find a range of opportunities where both parties can grow their businesses, and the new H-Series Single Engine Blower is a great fit.” says Art Schuchert, Sales and Marketing Director, Scania U.S.A., Inc. The H-Series Single Engine Blower meets the 2017 EPA emissions standards, allowing the vehicle to be power and energy efficient. In addition, the Scania SCR emissions solution requires no DPF. 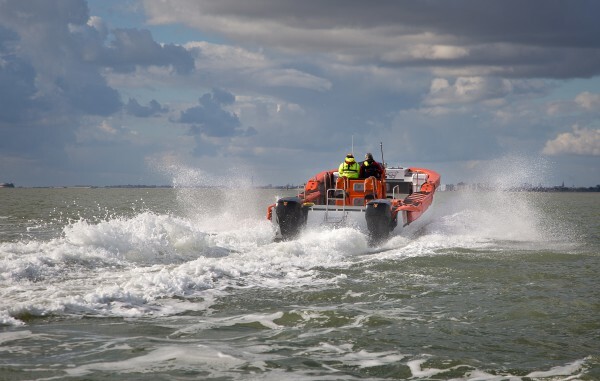 Scania Powered Lobster Boats put on a clinic! Scania put on a solid show this weekend at the 2016 Lobster Boat Races in Friendship Maine as the power plant for both “Blue Eyed Girl” and “Misty” powered by a Scania 650 HP DI13 and a Scania 650 HP DI12, respectively. Both boats and crew put on a great show and were among the top performers with “Blue Eyed Girl” finishing first in her class and fourth in the ‘Diesel Free For All’ with a top speed of 39 MPH. Machinist’s Mate 1st Class Marciano Perez attached to the U.S. 7th Fleet flagship Blue Ridge observes a high risk maintenance evolution in the engine room of the ship in July 2016. U.S. Navy photo. 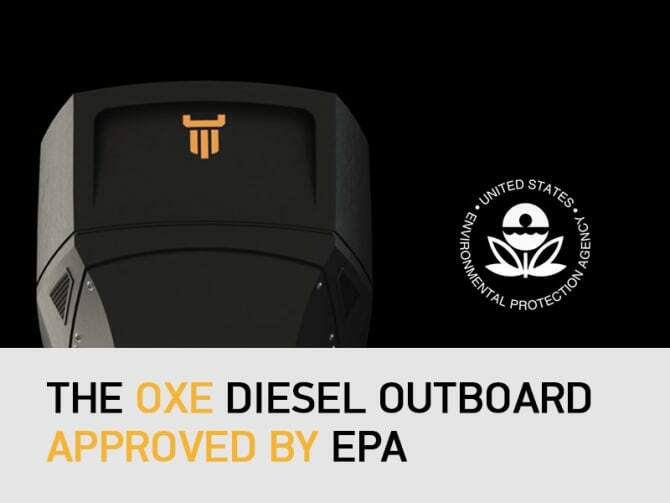 Great article from Tim Thomas at the ‘The Crew Report’ on the OXE Diesel Outboard! Mack Boring is excited to announce that we are now representing Suzuki as a Master Dealer. Under the new agreement, Mack Boring is ready to help grow the gasoline outboard market and contribute to Suzuki’s success moving forward. Mack Boring takes delivery of their first Suzuki Outboard engines! Yanmar’s six-cylinder 6LY3-ETP diesel engine has been selected by Silver Arrows Marine to power its distinctive, new, 14m Arrow 460 Granturismo motor yacht, which has been designed by Mercedes-Benz-Style. A pair of the 5.8 litre units, each developing 480hp, gives the pre-production craft a maximum speed of approximately 40 knots and 26 knots for cruising. The yacht, named Mercedes, is described by Silver Arrows as “a complete re-imagining” of luxury yachts in its category. She is the product of four years’ development by Silver Arrows Marine, a UK builder of innovative luxury yachts, in collaboration with Mercedes-Benz. Yanmar is a technical partner in the project. The design of the yacht, with its long foredeck above a planing hull with a narrowly tapered freeboard, arched roofline and gently dipping rear, deliberately evokes the feel of today’s Mercedes cars. Beyond looks, an important part of the “sensual purity” of the design concept is smoothness and efficiency in operation. This is one reason why Silver Arrows Marine chose Yanmar’s refined and efficient engines to power the project. “We know that Yanmar is a reliable company, with a philosophy that matches our thinking,” says Silver Arrows Marine CEO Jacopo Spadolini. “The Kaizen philosophy (of continual improvement) drives the strategies of both companies,” he states. The choice of Yanmar was reinforced by the fact that its marine engines are all purpose-designed for marine applications. For Silver Arrows Marine that ruled out competing marine engine brands whose product offering is largely automotive-derived. After its launch on France’s Côte d’Azure in April, « Mercedes » is expected to be commissioned in June ahead of going into full production later this year. Looking ahead: “Building on our relationship with Yanmar, Silver Arrows Marine plans to create a new collaboration for engines that will be launched in the future ,” the boat company reveals. New 6LY440 running in an AJ28 in the US! Trusted Yanmar reliability, smooth operation, and fuel efficiency.